Learn more about Sudden Gardens from expert gardener Stan Slaughter! A box garden is a beautiful, fertile, and easy-to-work garden right where you want it in one day! They also have some major advantages over in-soil gardens. First, they are installed quickly rather than requiring years to build a fertile garden. Secondly, from an aesthetics standpoint, the clean lines of these beds can be an attractive landscaping feature with many possible configurations. The built-in seating rail also makes it possible to sit comfortably at the edge of the bed, avoiding the kneeling and soiling of one's clothes. Finally, a box garden can be filled with a custom blend of soil and compost, a huge advantage over the heavy clay soils that predominate in the KC area. A box garden can be installed almost anywhere over any soil, even over concrete. All that's needed is a sunny location! No space? No problem! Big Bag Beds! Container gardening with the Big Bag Bed takes up almost no room at all, and offers a solution to many of your gardening woes. With added mobility and gardening space, you’ll find many ways to use them. It gives you the height to garden comfortably and keeps pests away better than in-ground gardening. 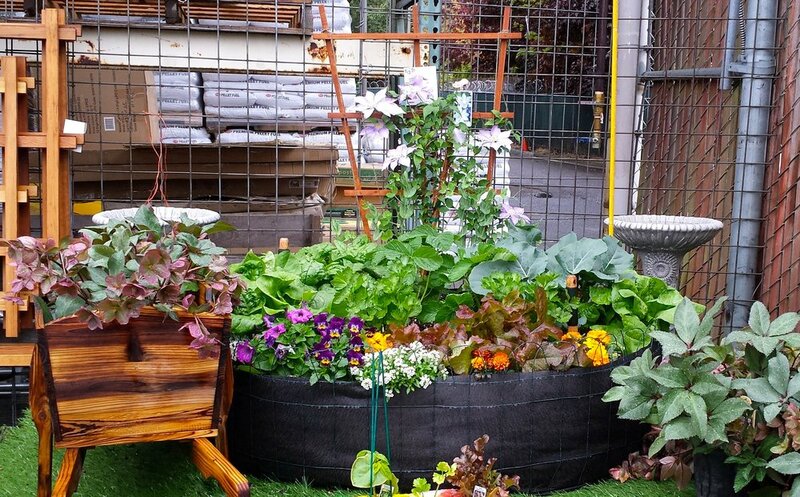 The Big Bag Bed garden allows you the same height of a raised bed, but with a circular shape for easier maintenance and harvest from any position. Three different sizes, the Original, the Junior, and the Mini, help you turn spaces only previously imagined into full gardens. Now you can grow your vegetables, fruits, herbs, flowers, greenery, or nearly anything you want, wherever you want. It’s truly an enjoyable way. High tunnel (aka hoop house) greenhouses are another option. These greenhouses extend the seasons and even when unheated can help hardy crops through the depths of winter. With a heating system, these greenhouses can be the start of a thriving business. High tunnels collect all the light, i.e. from all directions, and are better collectors than many greenhouses. The minimal cost and simple, strong framework bring the benefits of a working greenhouse within the reach of many people. The high tunnels are cozy even in the snow. These hoop houses are useful for starting early plants with the extra light or harvesting hardy crops such as kale late into the winter. 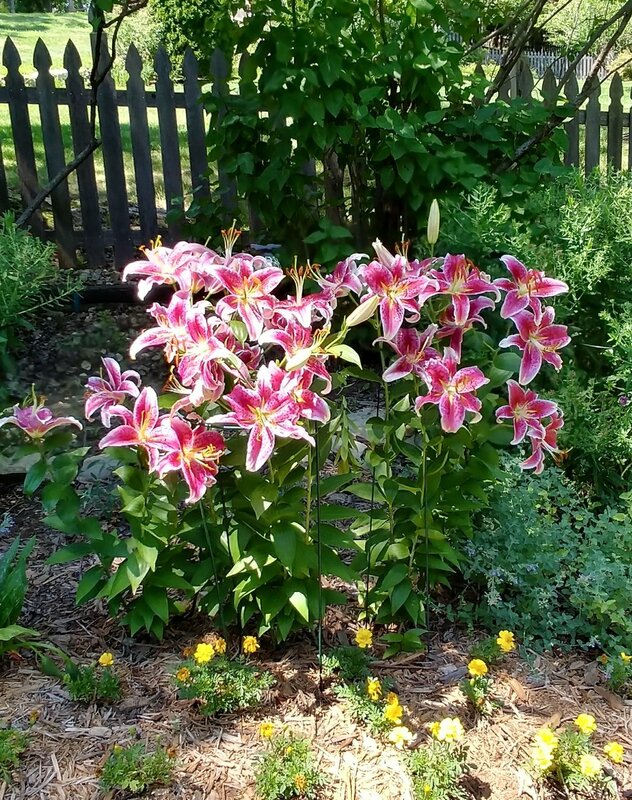 In-soil gardens are designed as a one-time jump start to gardening. Our goal is to give you everything you need to go from a lawn to a fertile garden in one day. After utility lines are located and clearly marked (the responsibility of the homeowner regardless if you live in Missouri or Kansas), we start digging or tilling. Sod, rocks, debris, roots and anything else that would interfere with having a great garden are removed. The soil is then conditioned via the addition of compost, which mellows the soil by adding organic matter that changes its structure, loosening and allowing the soil to breathe and absorb water. In areas with high clay content, we will also add gypsum to help loosen the clay. We then add pelletized chicken manure, enough for two years of heavy growth. After a second tilling pass to mix the garden as deeply as possible, you're ready for planting. We'll even provide a bale of wheat straw to mulch the garden, cooling the soil and stopping weeds. Our gardens always respond with incredible growth that is thrilling – and not to mention tasty – to our clients! For additional information and pricing, please fill out the form. Thank you! We'll get back to you with more information as soon as we can.